Below is a 5-question test on the origin. This test is linked to the lesson on the origin, which also has a test. What is the origin? What are the parts of a graph? What is the x-axis? What is the y-axis? What are Cartesian coordinates? What are Cartesian coordinates? What is the x-coordinate? What is the y-coordinate? The Origin of a Graph? 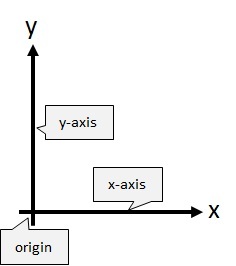 A graph has 2 axes that meet at the origin.